Hello, how do you define vintage/classic/ The one I have is from the 1960's. Here's my Bausch and Lomb Dynazoom. 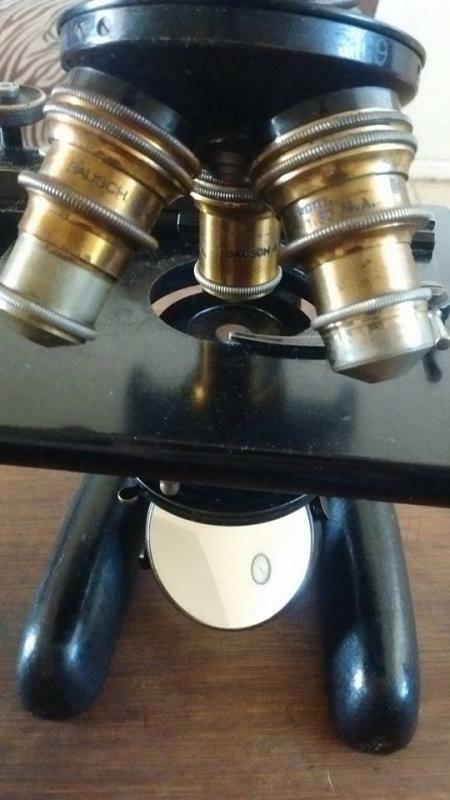 I have more microscopes cluttering up this place than I care to admit to, that should qualify as "vintage", "classic", or possibly even "antique", but nothing like those wonderful brass beauties. Black beauties are where I start. 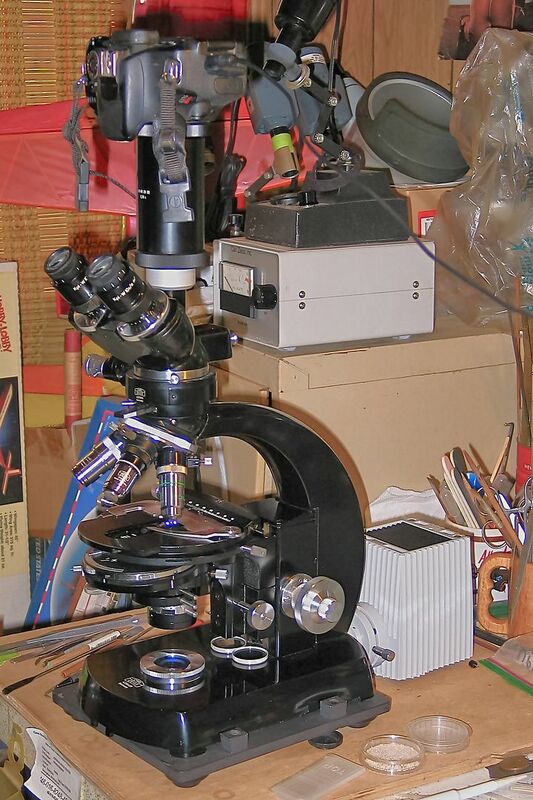 I also was a microscope owner before telescope owner, having bought my first microscope in 1983 and my first telescope in 1987. So here's a selection of favorites starting with my first real workhorse, a Spencer Model 13 MLH with Olympus objectives, modern WF eyepieces, and a AO/Spencer #735 research lamp. I have a ton of original accessories for this one, all controls work with old world precision and are buttery smooth, and it yields spectacular views - she really performs as good as she looks! Circa 1940. Below is my first phase contrast rig, an AO/Spencer Series 2 with Micro-Glide stage, perched upon an Ortho-Illuminator. Circa 1952. I have bunches of others, and maybe if anyone ever checks this thread out I'll post some of my stereo scope collection. 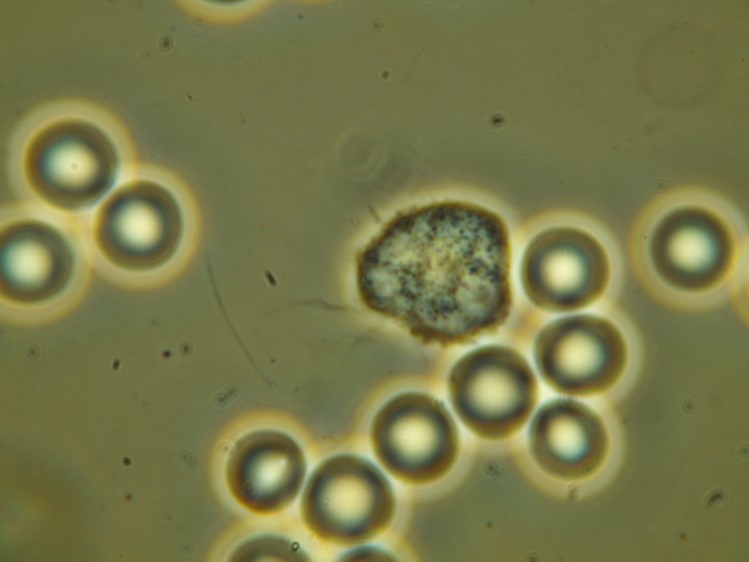 Frank, come back, and let's post some microscope pictures! EDIT: Meant to add: LOVE the B&L DynaZoom! Edited by NGC704, 23 November 2017 - 09:23 PM. What I have is a B & L Stereopod 2, a fixed power version of the Stereozoom. It has a 2X objective lens which when multiplied by the power of the eyepiece (s) yields its overall magnification. Its stand is the most basic model, whose gearlash is tight and precise. 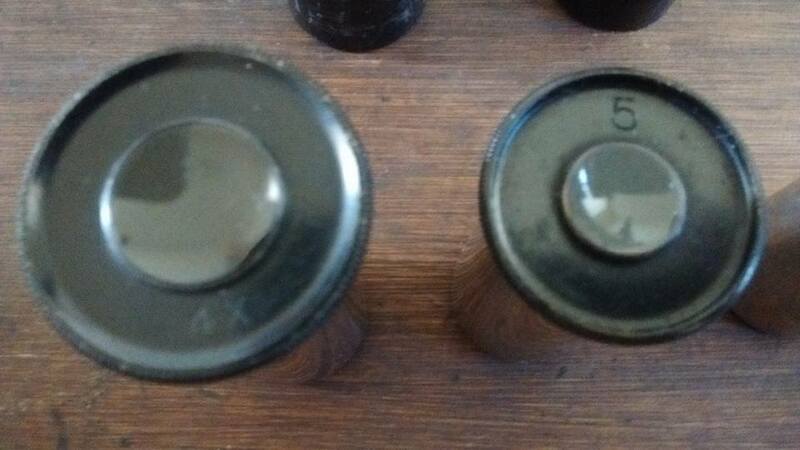 I have two 10x AO widefield eyepieces from a Cycloptic. They are heavy, even more so than the B & L 10x WF types it had when I purchased it. 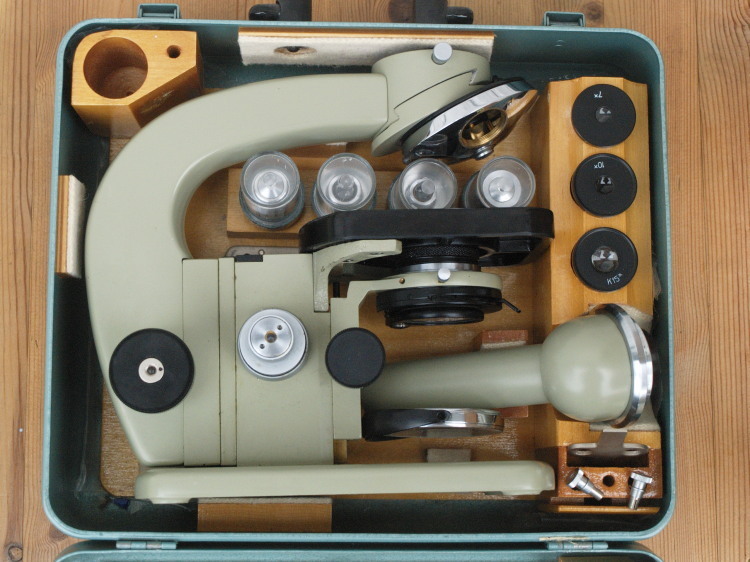 Actually it only had one eyepiece in it, which I use as a microtome. For illumination, I mounted a Rayovac LED headband lamp to the power pod with velcro strips. By virtue of its rather complex fresnel lens assembly it produces essentially stereoscopic illumination onto the target object, bright and with good white color. 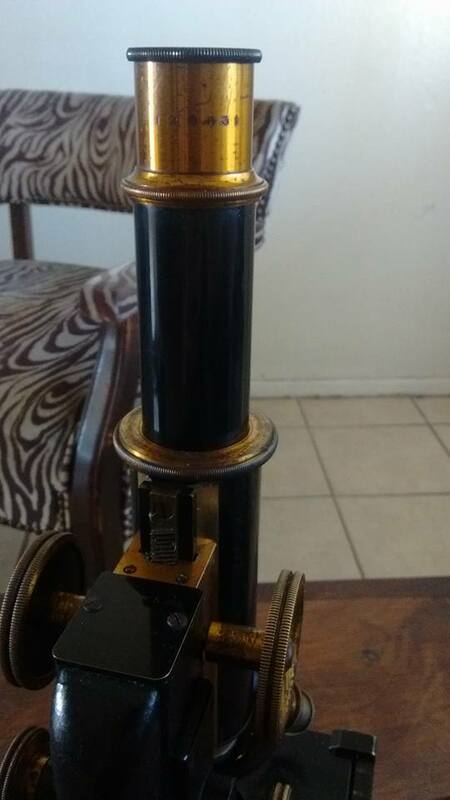 The view through this "Legacy" instrument is outstanding. I cannot imagine how it could be bested by a similar unit from a more prestigious maker. It's that good. I bought it to use (rather than as a collector's item), but then I found a very easy to use entry level Amscope stereo microscope for a good price that was a better quick-grab tool for use with my kids - thus the Zeiss is currently in the back of my closet ( which explains the lack of better quality pics). 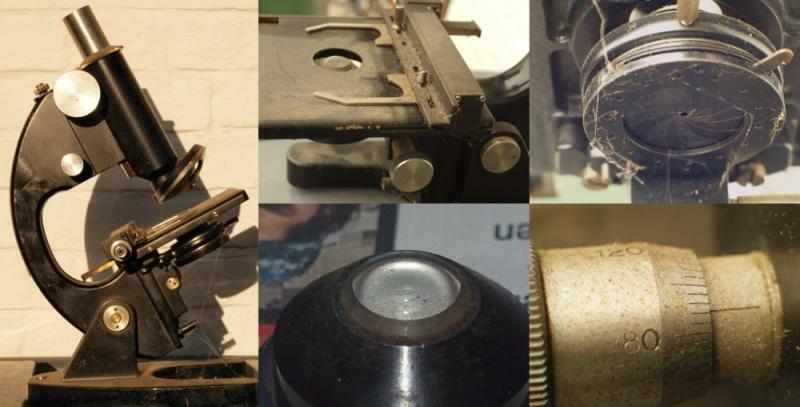 Being that it is a vintage Zeiss, get it professionally done. No horror stories. You should be able to get a basic cleaning and alignment for a reasonable cost. Are you sure it is a "dissecting rig? It looks like a much more powerful magnification instrument. https://tinyurl.com/y7rvz659 EDIT: That URL won't seem to copy quite correctly. 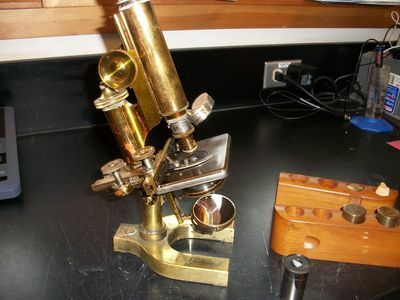 Please click on it, but then check the "Different Types of Microscope(s)" links for "Greenough & CMO-type stereo microscopes". 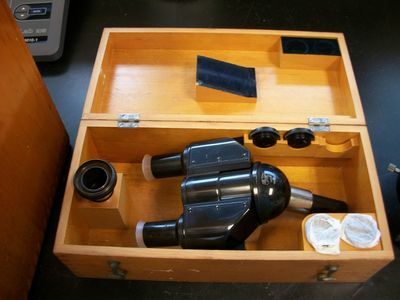 Beginners in amateur microscopy tend to severely underrate stereo scopes because they're low powered, but this is exactly what makes them great for starting with, just as binoculars are often advised as an introduction to astronomy. Consider that you don't need all the slides, cover slips, and other paraphernalia necessary for compound microscopy; you just plop your specimen straight on the stage and have at it. 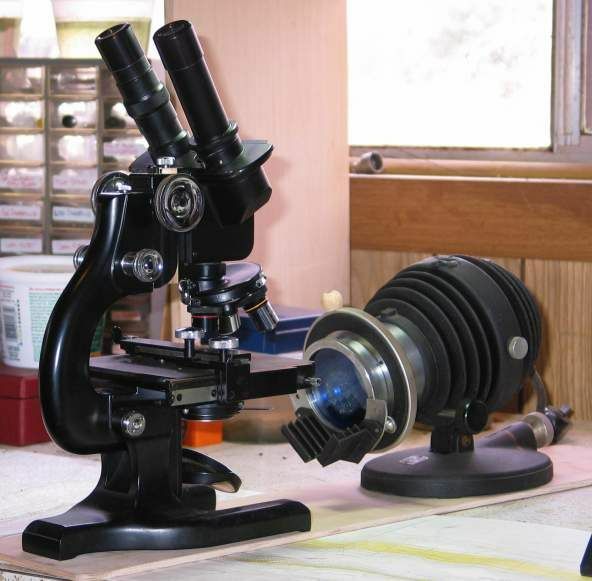 Because they're low power and have great working distance, you can manipulate specimens, even do work, under these scopes - that's why they're sometimes called dissecting microscopes. As a woodworker, I often use mine to remove splinters from fingers, for instance. This type, and vintage, of stereo scope isn't generally worth a lot of money, but they're perfectly serviceable and fine to use. This one being a Zeiss, and being a very complete outfit (the armrests tend to be seldom seen), and appears quite clean and in very nice condition, I could be wrong on this one - possibly very wrong. If you check eBay for prices, might want to be sure to filter for completed listings, as anybody can - and they sure do - ask crazy prices. The only prices you care about are those that were actually realized. 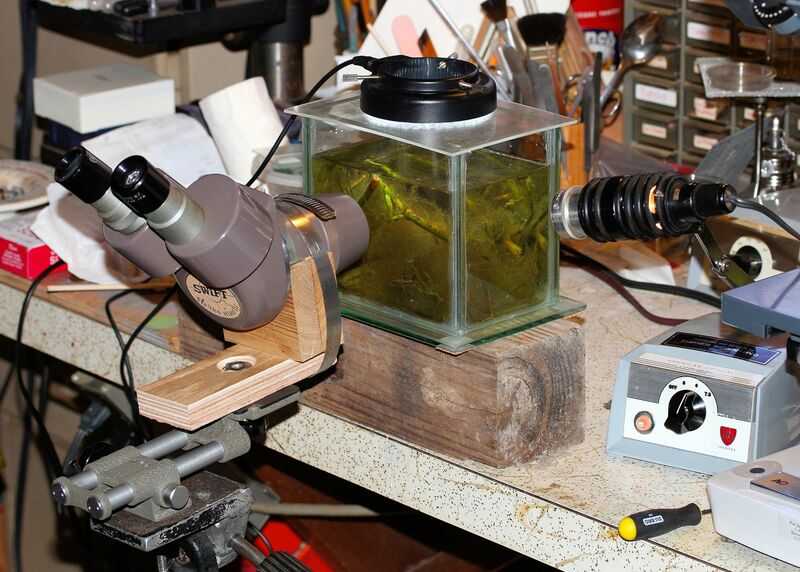 If you are competent to clean telescopes and binoculars, and their optics, you can certainly try your hand on "freshening up" this stereo scope. They're really not that delicate or complicated. Edited by NGC704, 09 December 2017 - 08:56 PM. Thanks NGC - that is helpful. What you described is exactly why I like it - and ultimately also the "grab-and-go" stereo amscope. 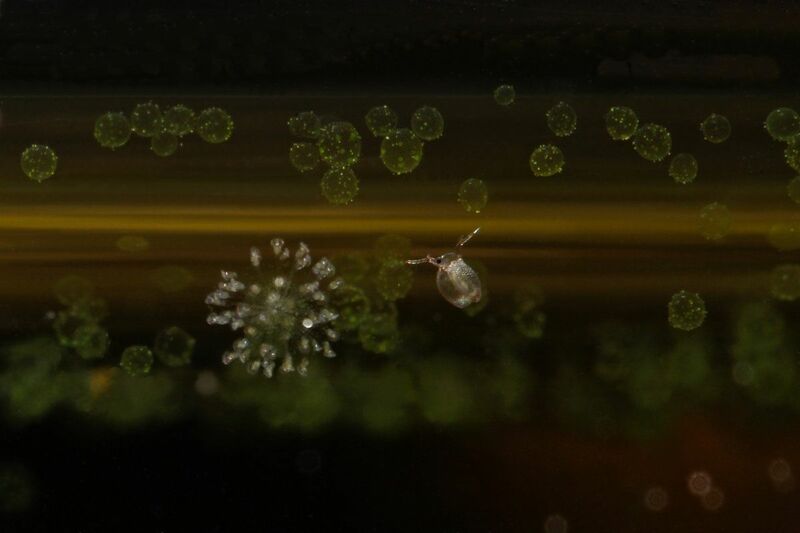 Bugs, rocks, crystals, fossils, etc - they all look great at the low powers involved. And the kids love it. 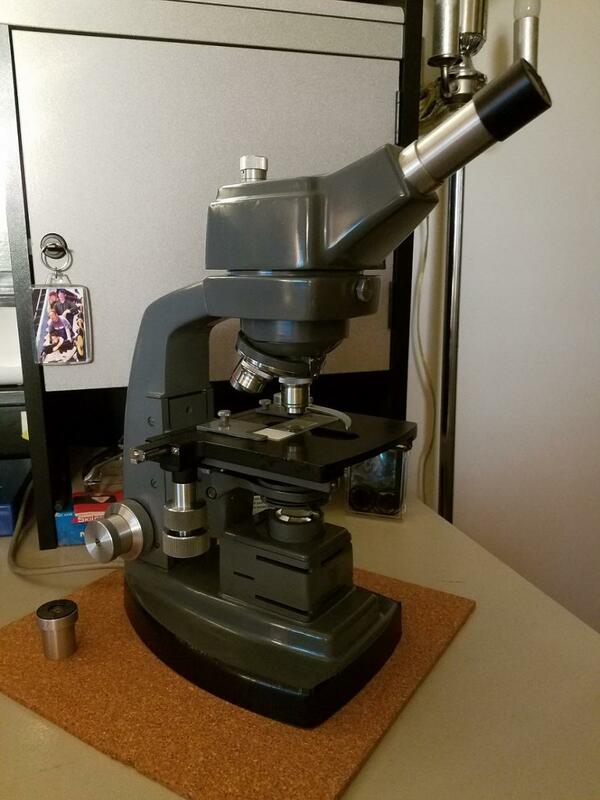 I also have a Leica Galen III microscope that operates at more traditional microscopy powers, but we rarely use it because the Low power scopes are so much fun. And I am really in no rush to have the Zeiss cleaned. I really don't use it much with the other options I have, so I will probably just keep it stored safely until I have more room to display it (which will make me more likely to use it). But I think it ultimately deserves a good cleaning since it is a nice vintage instrument. I should have added a short list of jobs commonly performed by stereo microscopes to better illustrate how wonderfully useful they are. 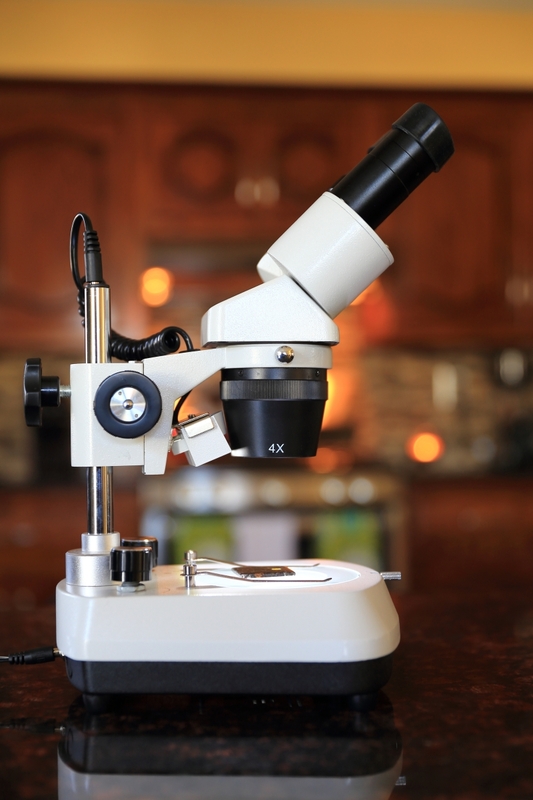 As has been noted above, they've gained the common name "dissecting microscope" because they are often used by students and researchers to dissect small specimens for study. 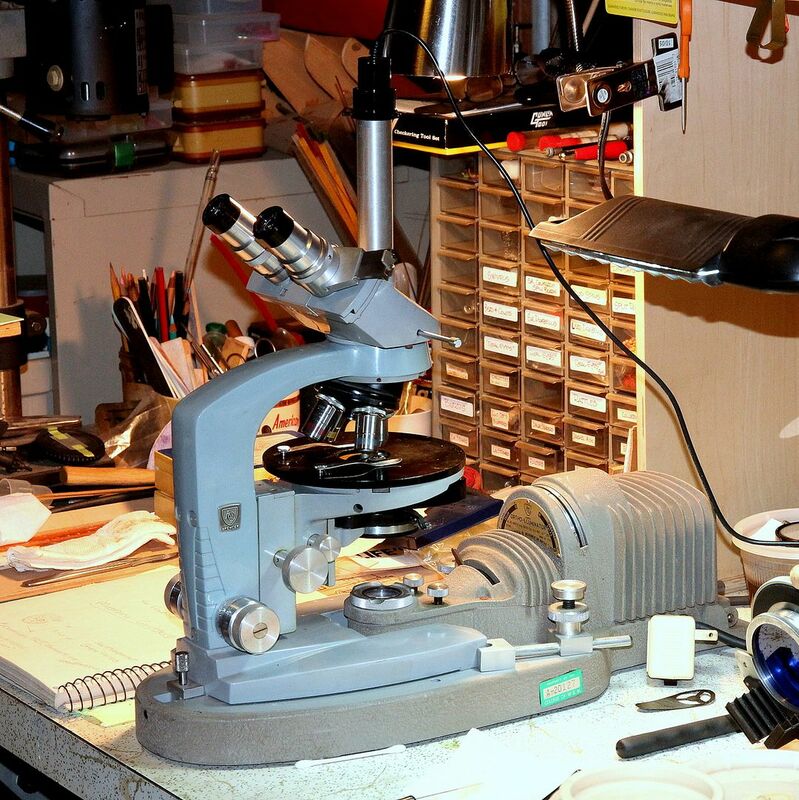 They are also widely used by entomologists, gemologists, engravers, even technicians who micro-solder miniature electronics. Archaeologists, coin and stamp collectors, art collectors, and too many other branches of inquiry to name, use stereo scopes, often on boom type mounts, to examine objects noninvasively, with minimum handling necessary. Industry has a whole range of "inspection scopes" that are practically always stereo scopes. Of course they're used in medicine too, operate side-by-side with compound microscopes, and in case you ever wondered about those microscopes surgeons use to perform the most critical operations, yep, they're almost always stereo scopes. Another fun fact: since stereo scopes are actually two microscopes used together, one for each eye, same as binoculars, they provide natural triangulation, which means you see 3-D relief in objects viewed under one. 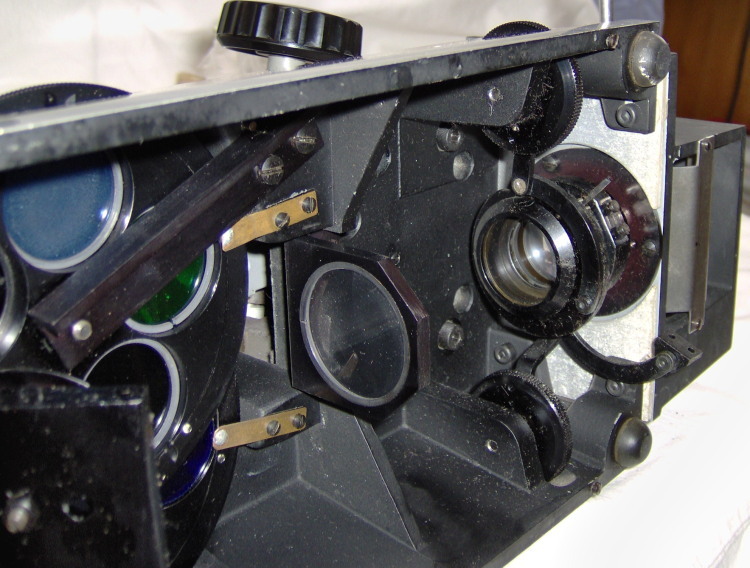 Above: a couple of American Optical (AO) Spencer Model 26, one with optional transmitted light sub-stand. 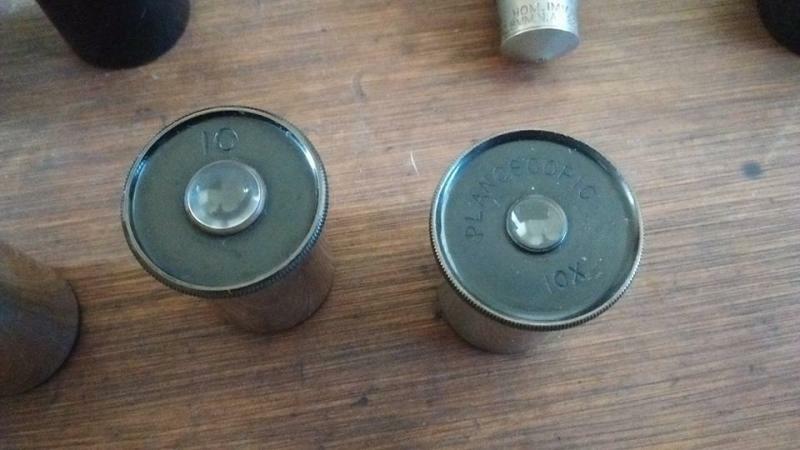 These sturdy workhorses from the 1940's provide startlingly excellent performance, and neither cost me more than $50 on eBay (yeah, helps to be patient and knowledgeable for sure). I only have a 2 year old one, I guess that's vintage. Just wound up over here from the classics forum topic on "How cold is too cold?" 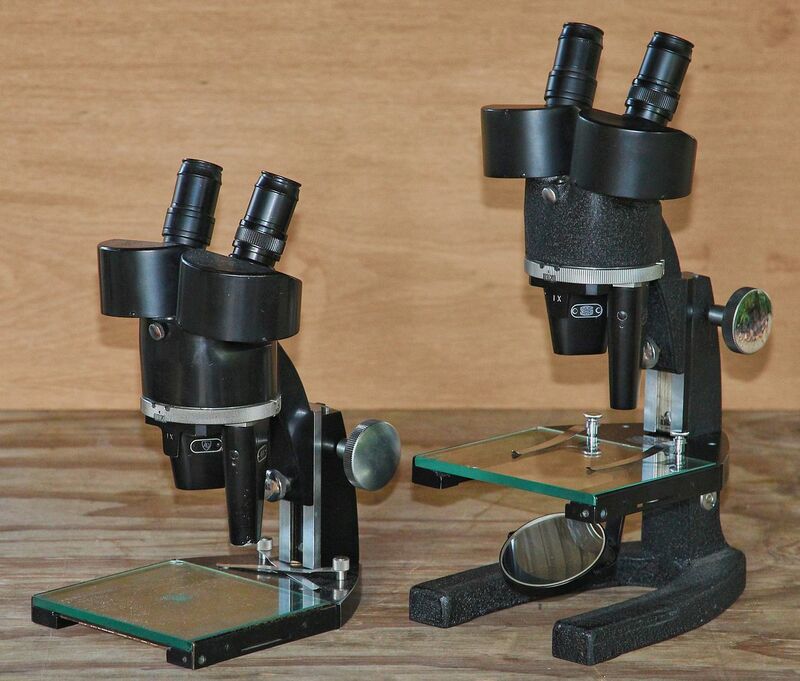 and thought I would get my little family of microscopes out for a photo. From left to right is a CTS (Cooke, Troughton and Simms), a Busch, an older American Optical and my newest AO Spencer 20. They are a fun group! pS Please forgive the dusty boxes. With all the telescoping I've been doing these gems are sorely neglected. I should also add that these little distractions started when I was reading "A sweetness at the bottom of the pie" and heard about Old Uncle Tar's pretty brass Leitz. Still haven't captured that one yet, but some day! Ranger 4: I've been looking for a WL stand for some time now. But they're rare and usually expensive here: >1 000 Euro's for a stand in more or less acceptable condition. I bought the Zetopan some 20 years ago from the estate of a deceased physician. Over the years I managed to find the spare parts to equip it fully for brightfield, darkfield, phase-contrast, anoptral contrast and fluorescence. It's a heavy, sturdy and reliable beast and it takes a lot of table space, which I don't have unfortunatly. I have a much smaller Diapan as well which I use more often. It accepts the Zetopan condensers, removed from their Akehurst-sliders, so at least I have two Reichert platforms for brightfield, darkfield, phase-contrast and anoptral contrast. Well, as they say: "the best microscope is the one you use most often". In my case it's this one: a Reichert Diapan from somewhere in the 1960's. 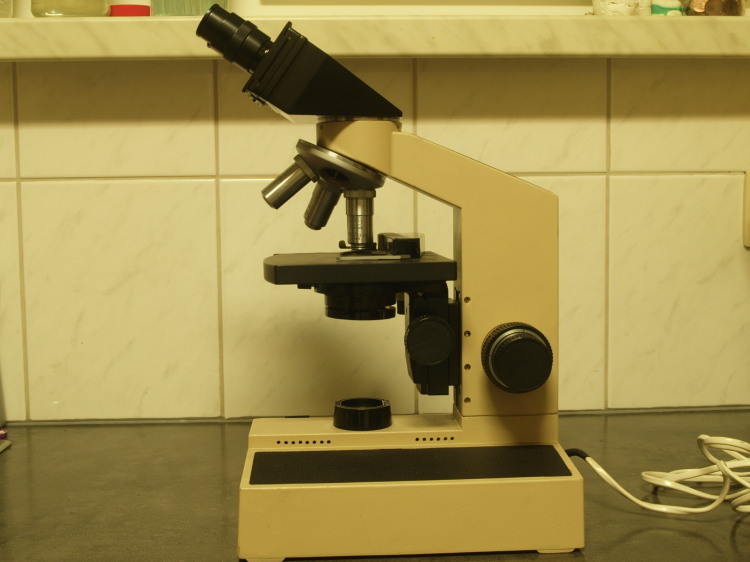 The Diapan was intended as a high grade lab microscope, at an affortable price, to be used by less well trained technicians as well. It has fully adjustable köhler illumination, using a 12V, 100W halogen bulb. The combined coarse and fine focussing mechanism is ... special: turning the knobs activates the coarse focussing, while the fine focussing is achieved by pushing/pulling the knob bakwards/forwards. It takes some time to get used to it, but it works fine. Edited by NGC704, 22 January 2018 - 11:54 AM. There's the same set of knobs/dials on both sides of the foot. The small one(s), on the left in the picture, are used to center the field diaphragm in the FOV by commanding an internal mirror in the foot. The mirror can be seen in the picture below. The larger, horizontally placed dial(s) are two internal filter wheels. The vertically placed dial(s), on the right in the picture, are for setting up the illumination. One dial to focus the light source, the other one to open/close the field diaphragm. The stage controls are placed at an angle of about 45°, yes. 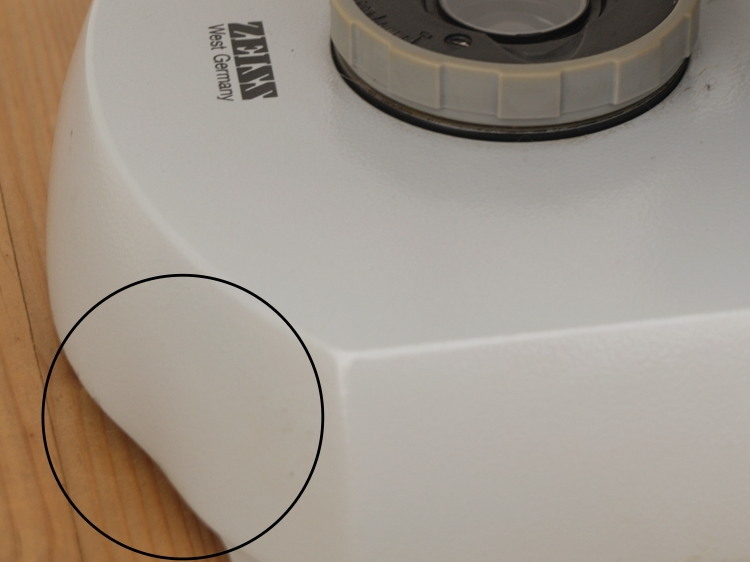 As far as I know there are/were only two microscope manufacturers using this feature on some of their stages: Reichert and PZO (Polskie Zaklady Optyczne = Polisch Optical Industries). Speaking of which: PZO is another one of those far underrated microscope manufacturers, whose microscopes can sometimes be bought very cheap. Well, at least here. Edited by Microscopy, 22 January 2018 - 11:51 PM. Yes, that's true: the makes and models which are easily affordable or otherwise available to enthusiasts in the USA, the UK, or in Europe, tend to be quite disparate for more or less obvious reasons. Which makes your presentation all the more fascinating to me, here in Texas. Thanks for the additional pix ... have you got any more...? This is probably the cheapest microscope stand I ever bought. If memory serves me right, I paid some 30 -35 Euros for it. 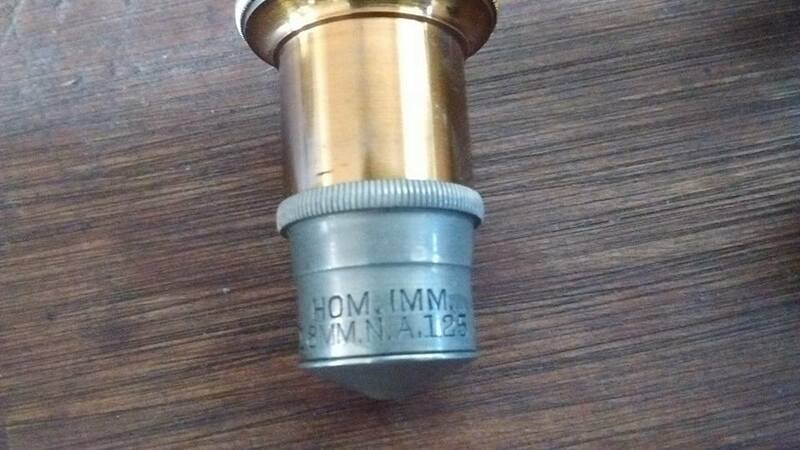 It's from the Belgian former microscope manufacturer O.I.P. de Gand. The stand was part of a lot made to special custom order for a university bacteriology lab. It was equipped with an original O.I.P. 11x achromat, an unusable WILL Wetzlar 40x achromat, and a very good Olympus 100x oil achromat. 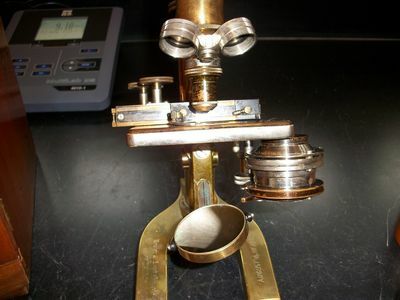 No name eyepiece, a regular Abbé-condenser. 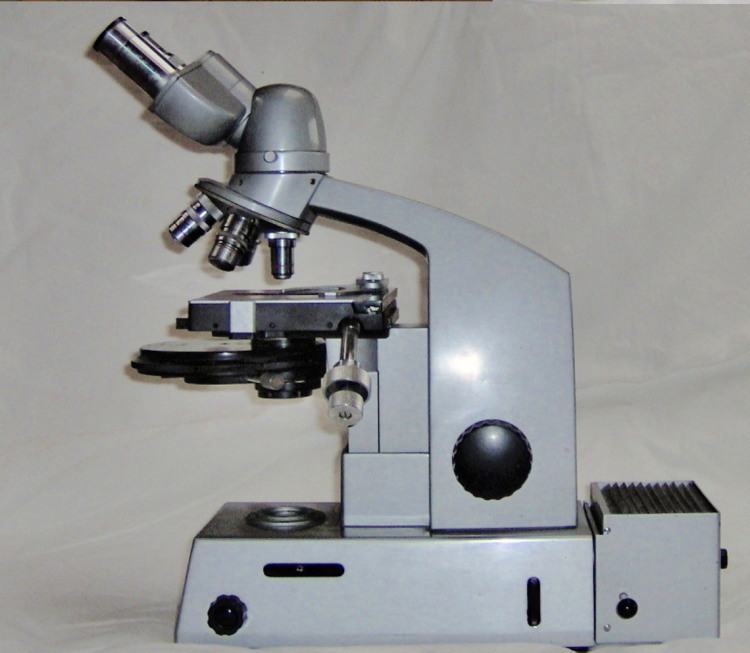 It has a tube length of 170mm, which is rather unusual for a non-Leitz microscope. I contacted O.I.P. at the time (the company went broke in the 1980's, was taken over by Dutch Old Delft. It still exists, but they're no longer in the microscopy business). A very friendly receptionist, gave my phone number to one of the former teamleaders, responsible at that time for the project. He called me some time later and he remembered that particular project very well. "It was a rather difficult customer, you know. We had to rework this, rework that... 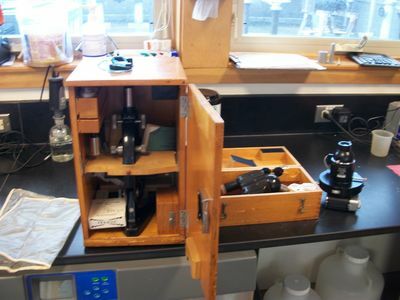 But in the end it was worth it: it turned out to be a very good microscope, at par with the best, say Zeiss, Leitz, Hensoldt". 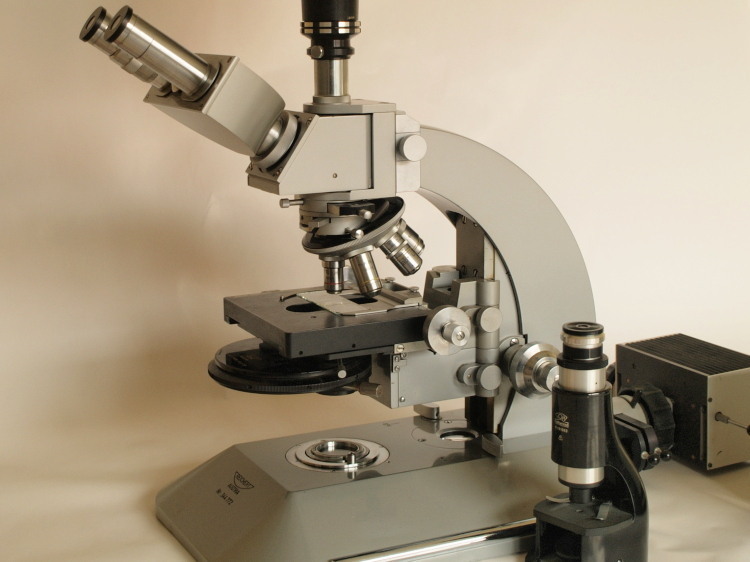 The microscope had been stored on an attic for years and it was in a dreadfull condition. 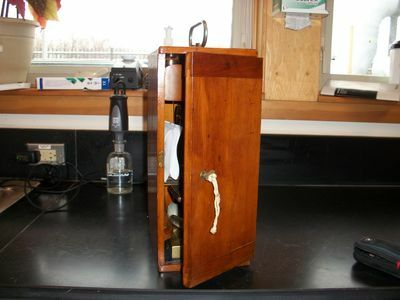 One of my first experiments in restoring an old microscope stand and it turned out rather well. I still have it, but my daughter (11) is increasing to pressure to donate this particular stand to her school... And in the end she always gets what she wants. Edited by Microscopy, 23 January 2018 - 02:40 AM. Edited by Gerry R, 25 January 2018 - 05:55 PM. 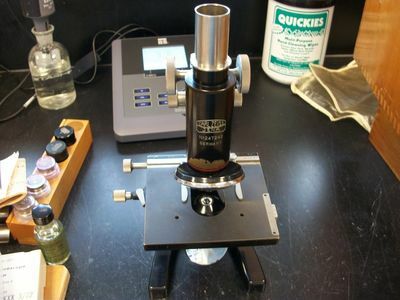 This is another microscope I use pretty often. Not all that special: it's a Zeiss Standard 16 (the one with the build in 6V/10W halogen bulb). 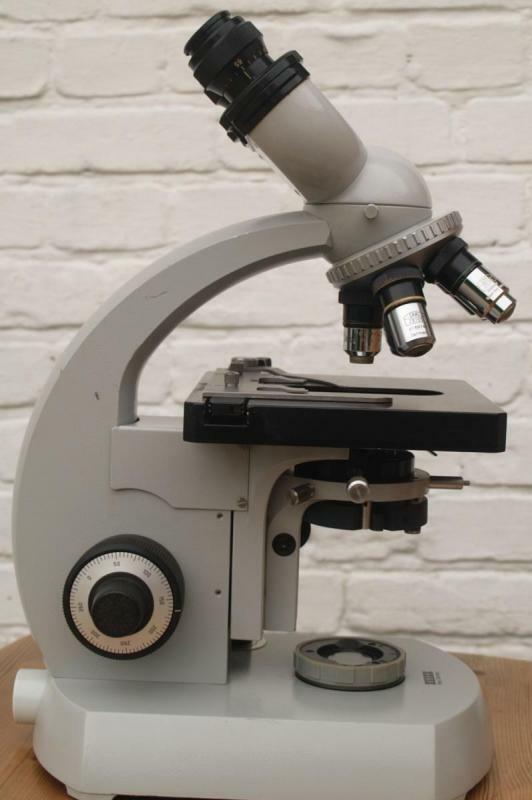 It is a very nice microscope, with a five fold nosepiece equiped with 2,5, 10, 25, 40, 100 Zeiss planachromats, a pair of excellent KPL eyepieces, the 1.3 achromatic-aplanatic condenser. And it was dead cheap, a real steal! As I considered that kind of strange, I asked the seller how come it was that cheap. So he told me the story of the microscope: it was bought to be used in the histopathologist's office/case review room of a large teaching hospital. But only a few days after it arrived, it was dropped accidently by a cleaning lady. Well... Accidents happen, that's why we have insurance companies. 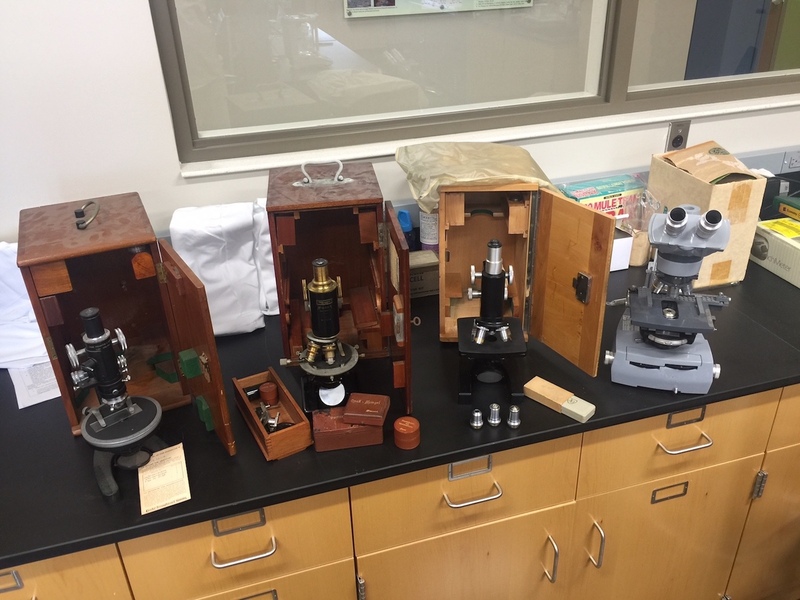 The microscope was send to Zeiss for evaluation, possibly repair, pending approval by the insurance company. In the end the insurance company agreed to repair, even though it was nearly as expensive as buying a new microscope. The entire focussing mechanism was replaced, together with all optics, the nosepiece, the stage, the condenser holder, the limb, the illumination system. 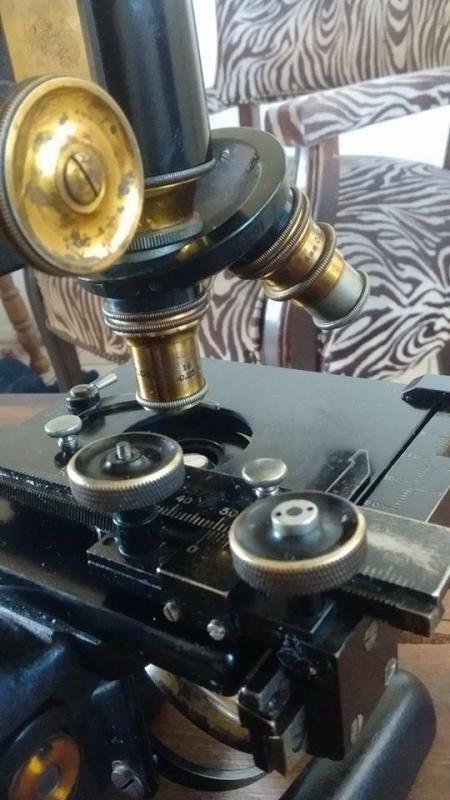 Only one thing wasn't replaced: the dented foot, as the insurance company considered that "cosmetic damage only, with no effect whatsoever on the performance of the microscope". It served for some 7-8 years. 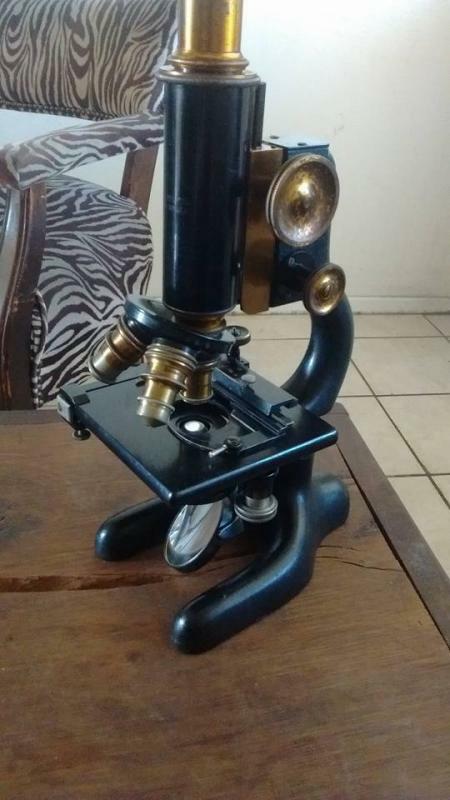 After that it was put up for sale, at a price considered "reasonable" for a dropped microscope. The seller send me copies of all the paperwork regarding the microscope. A very interesting read! I bought it and I never regretted it.